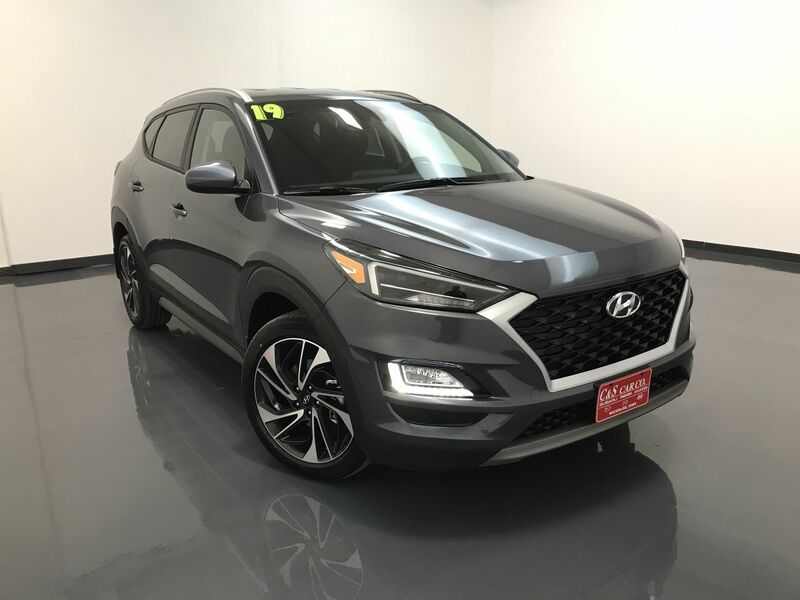 The 2019 Hyundai TUCSON. Where style and utility meet. Meet in a way never seen before. A luxurious interior with abundant space and amazing features. Features like rear reclining seats that offer more legroom than the competition. More storage options. Fold down the split rear seats and you have room for a mountain bike. All the latest tech is available, too. Safety. Tucson has received a 4 out of five star rating from the NHTSA. Efficient, with an EPA rating up to 33MPG highway. This Hyundai TUCSON SPORT has the optional carpeted floor mats, mud guards, cargo cover, and cargo net. From the manufacturer with quality vehicles that are backed by America's best warranty. It's a company that's supplying over 94,000 jobs in the US. Hyundai. A brand name that you can trust. Limited powertrain warranty- 10 years/100,000 miles or whichever comes first. Limited new vehicle warranty- 5 years/60,000 miles or whichever comes first. Anti-perforation warranty- 7 years/unlimited miles. 24 hour roadside assistance- 5 years/ unlimited miles. Call C & S Hyundai toll free at 866-212-8718 or locally at 319-291-7321.